Each image is 3” x 4” B/W, to include, (1) A horizontal image of a crematorium. 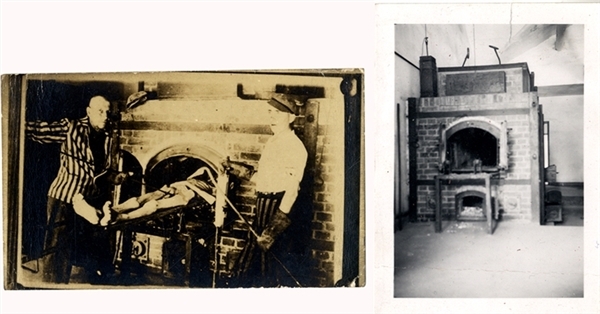 (2) A copy photo which is ID’d through research as “Auschwitz crematorium. Israel Rozen was witness to the incineration of several Jews from Dabrowa Górnicza”, showing two prisoners loading the creatorium with a dead victim.